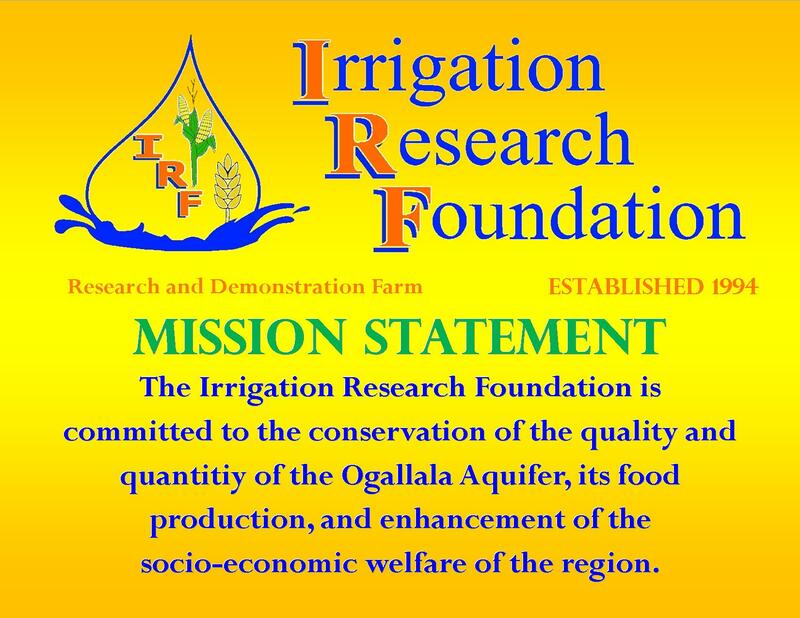 The Irrigation Research Foundation is a private, non-profit, 3rd party 501(c)3 research and demonstration farm established in 1994 from a vision created by Ed Trautman, a local farmer who owned the farm ground the IRF sits on. Ed Trautmen donated the ground that is the IRF, and now runs 5 pivot systems and 1 lateral system all running on one centralized well that draws from 250 feet and covers 147 acres. 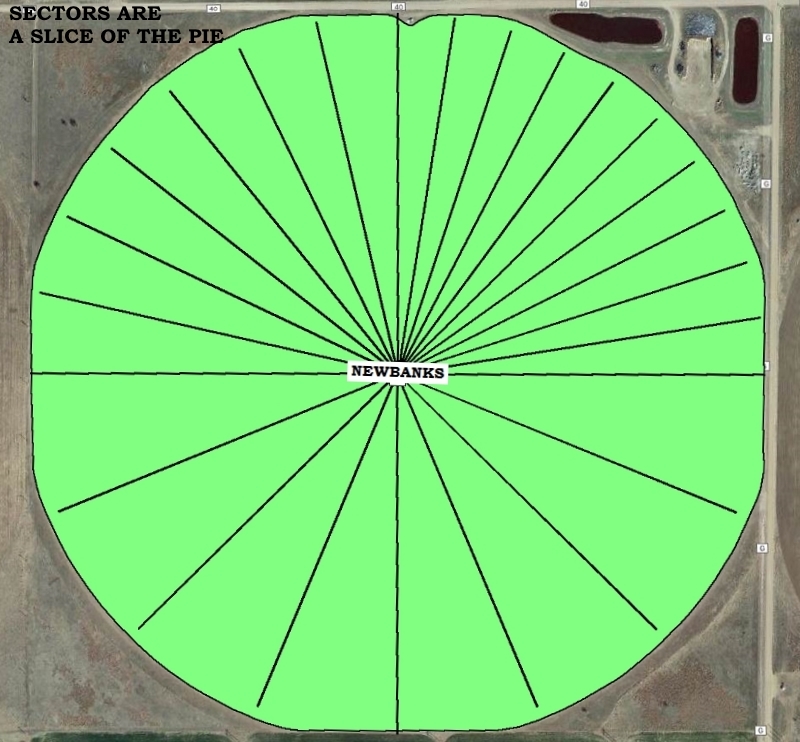 With several successful years, the Research Farm has been able to include dry land ground and currently leases a commercial sized pivot off site. The Board of Directors, IRF Staff, brilliant entrepreneurs, local farmers, and local business owners, all share a commitment to support producers in developing and adapting farming practices and methods that are environmentally sound, and economically viable to use less water, make better informed decisions through cutting edge technology and innovative irrigation techniques. 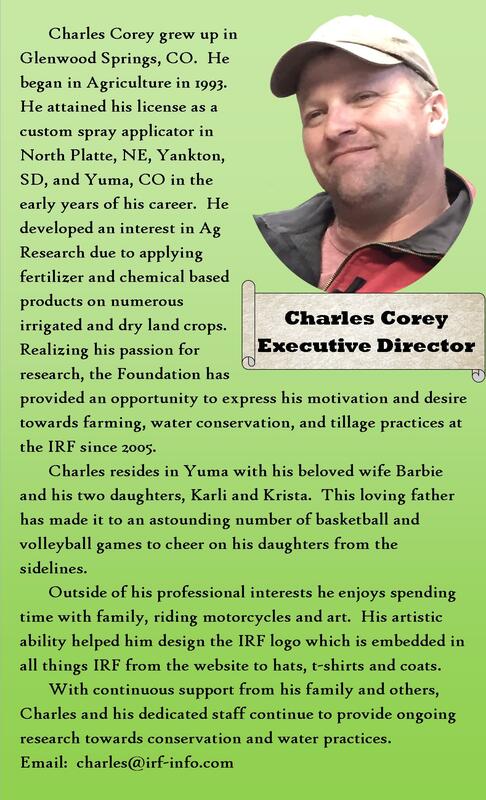 at the IRF is to promote proper water usage, stay ahead of technology, create and implement scenarios for limited water practices, reduce inputs and protect yields that enable our Cooperators to best determine how their products will perform in a controlled environment, not just with plant health products, but also soil health and seed varieties. It is so important to realize water efficiencies under certain circumstances that a producer can relate to, and effectively and efficiently utilize in their day to day management decisions with a variety of different crops, market changes, legal limitations and ever changing circumstances. If the IRF can relate to the producers concerns and effects of varying products, our hopes are the grower can lean on our data results knowing the results are coming from a true third party source which is duplicating the situations and effects the every day Grower faces. For Producers that means they have timely, credible, reliable data from real world research enabling them to make better educated decisions. 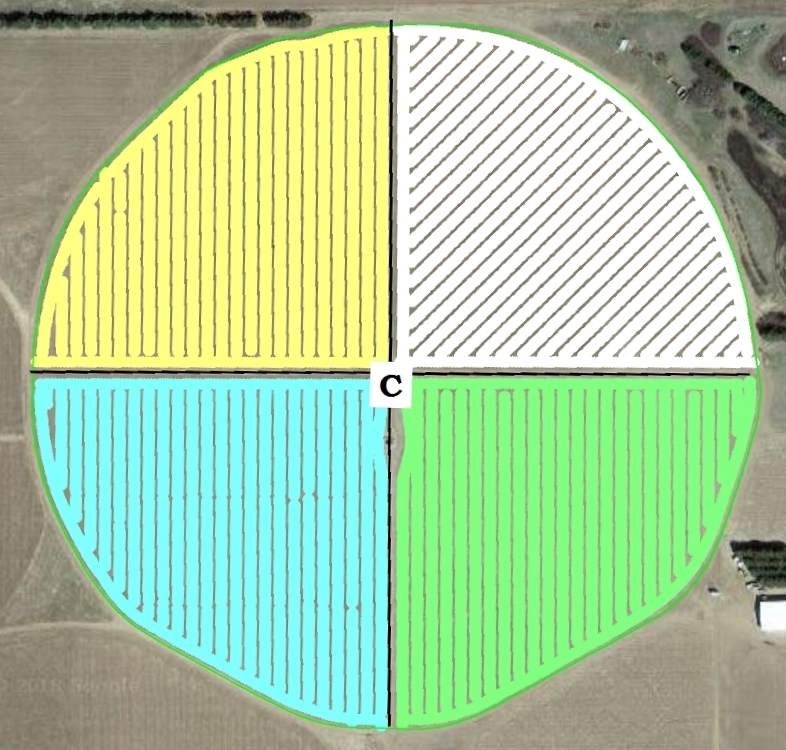 With multiple inputs from technology experts in water instrument collection devices, smart panels on pivots, Trimble RTK and precision planting, we are able to control some of the variables for repeatable data. 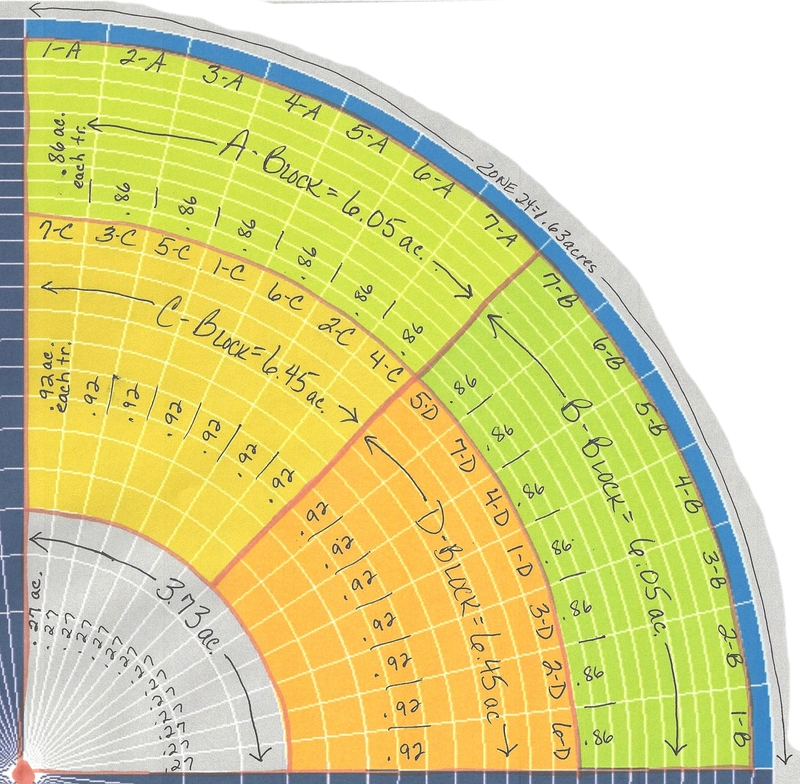 Once our data is in the hands of a grower, you can bet the data has been looked through inside and out and documented for rock solid results that a producer can rely on. The IRF Cooperators include, seed companies, chemical companies, soil conditioning companies, irrigation manufacturers, technology developers, and equipment companies to name a few, so we are able to cover a lot of areas of interest. 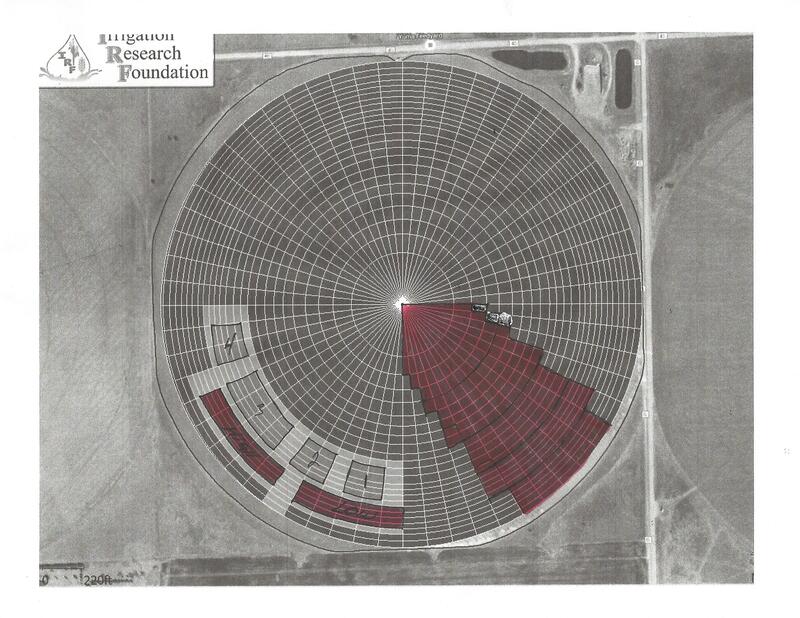 Every 4 rows of every crop at the IRF can be a separate trial, so this allows a large number of research opportunities. is provided through crop commodities, agricultural studies and donations. 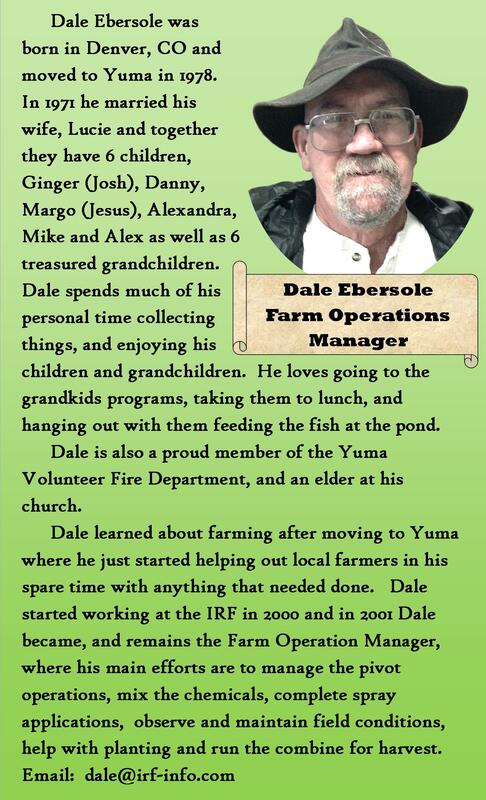 Donations include cash, and In-Kind equipment, fertilizer, seed, and chemical donations, as well as other donations of time, temporary use of individuals farm equipment, and labor. As a 501(c)3 organization, these generous donations allow individuals and businesses to receive tax credit through the Colorado Enterprise Zone for donations given to our non-profit research facility. 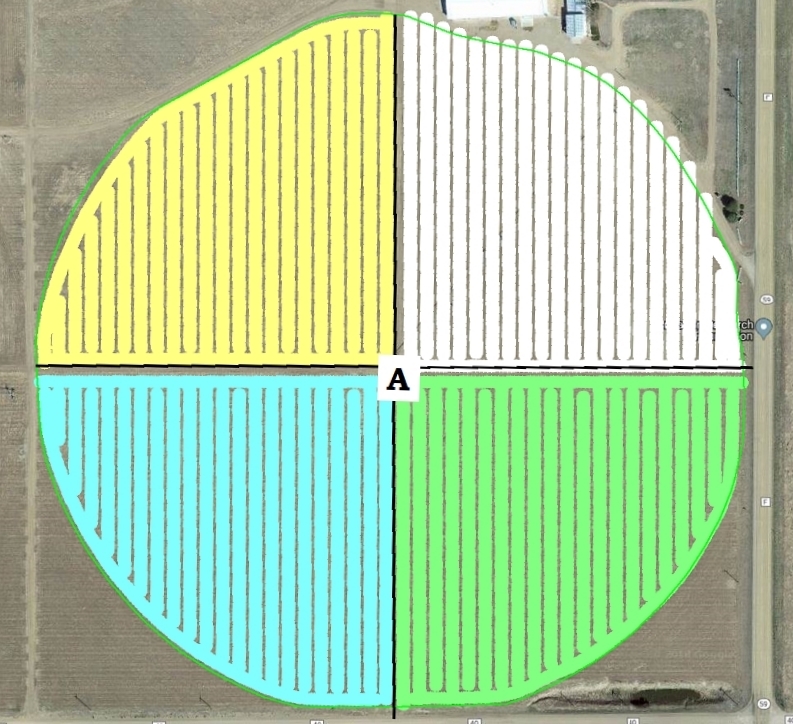 THE MAIN FARM TODAY CONSISTS OF 3 FULL PIVOTS, 2 ‘WINDSHIELD’ PIVOTS (or 1/2 circles), 1 LATERAL SYSTEM and DRY LAND. 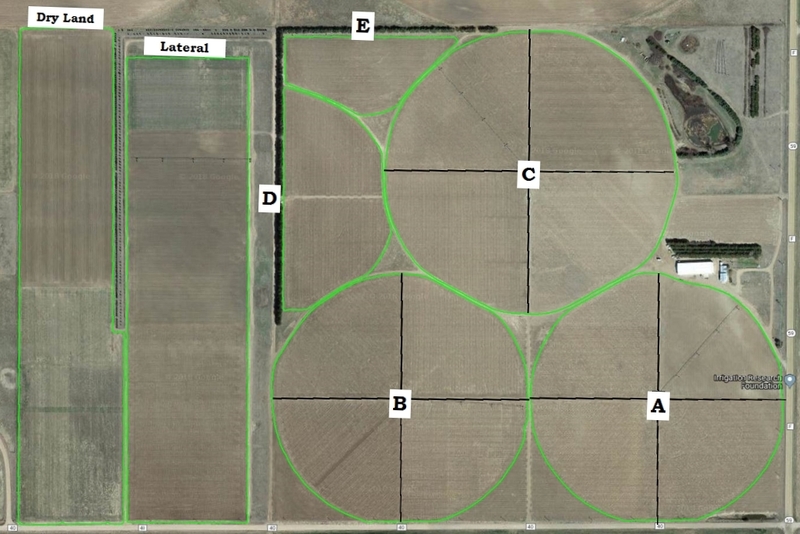 PIVOTS A, B, C and NEWBANKS are divided into 4 quarters for separate research projects. 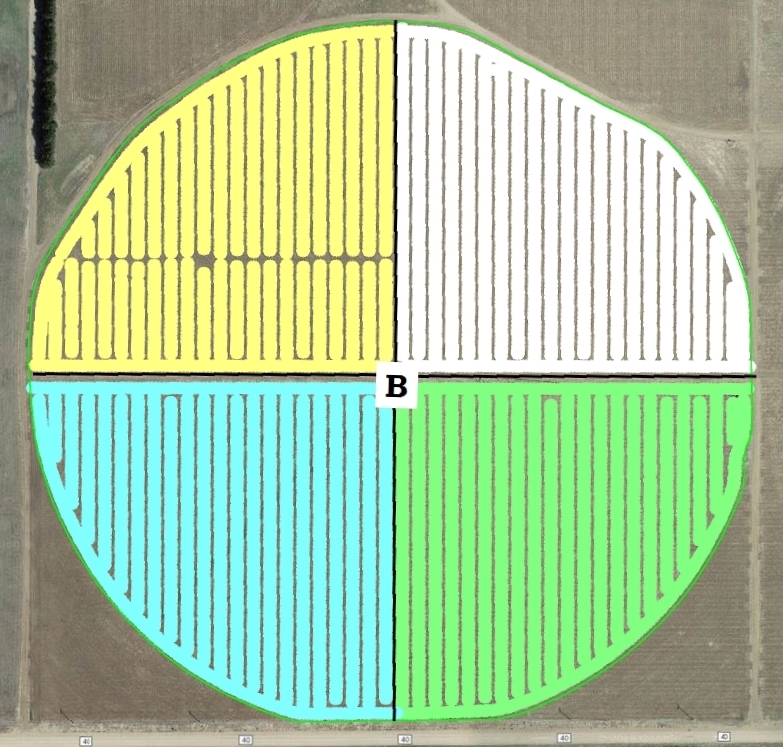 There may be several different crops and each quarter may be planted north and south, east and west, at a 45 degree angle, or on the curve. 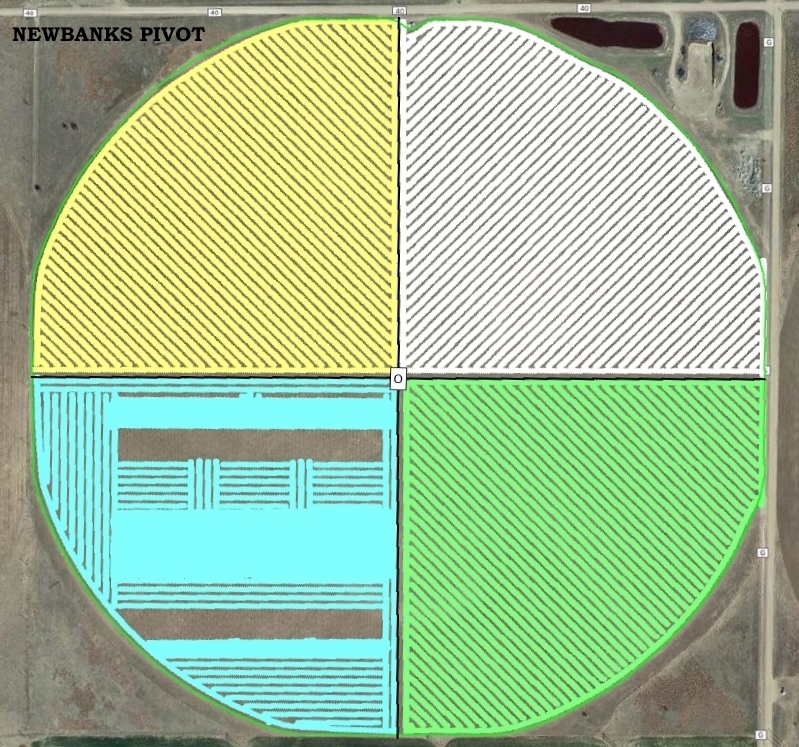 Each quarter for PIVOTS A & B is around 7 acres, Pivot C quarters are around 9 acres and the NEWBANKS PIVOT quarters are around 30 acres each. Pivots D & E are ‘WINDSHIELD WIPER’ pivots or 1/2 circles. E is buffered with dry land. 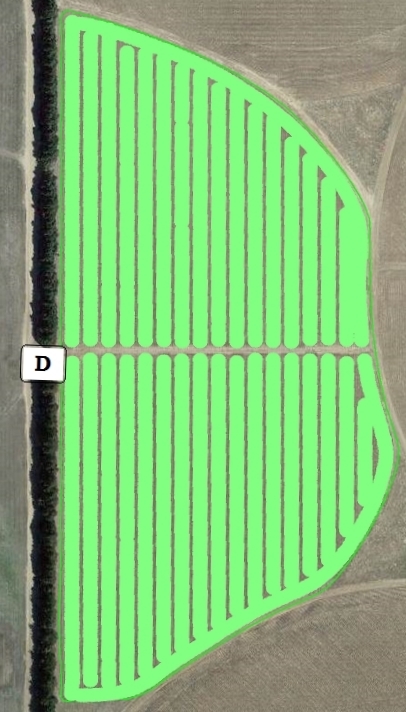 The Dry Land ground is generally divided in half for separate trials on the north and south with each half being approximately 15 acres, and the Lateral is generally divided into thirds for 3 separate crops; North, Center and South sections. 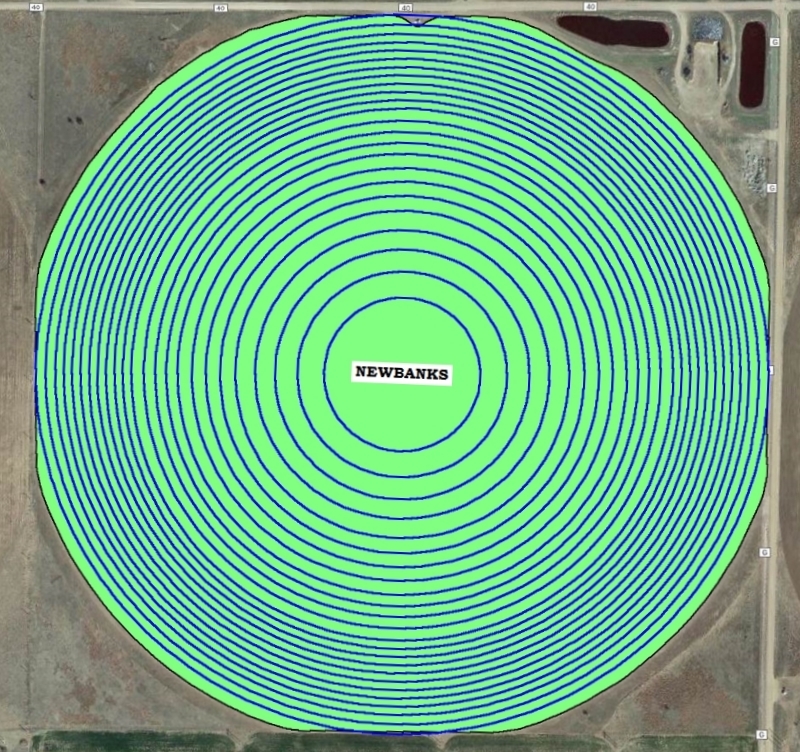 In 2018 the north was around 10 acres, center around 15 acres and south around 8 acres. 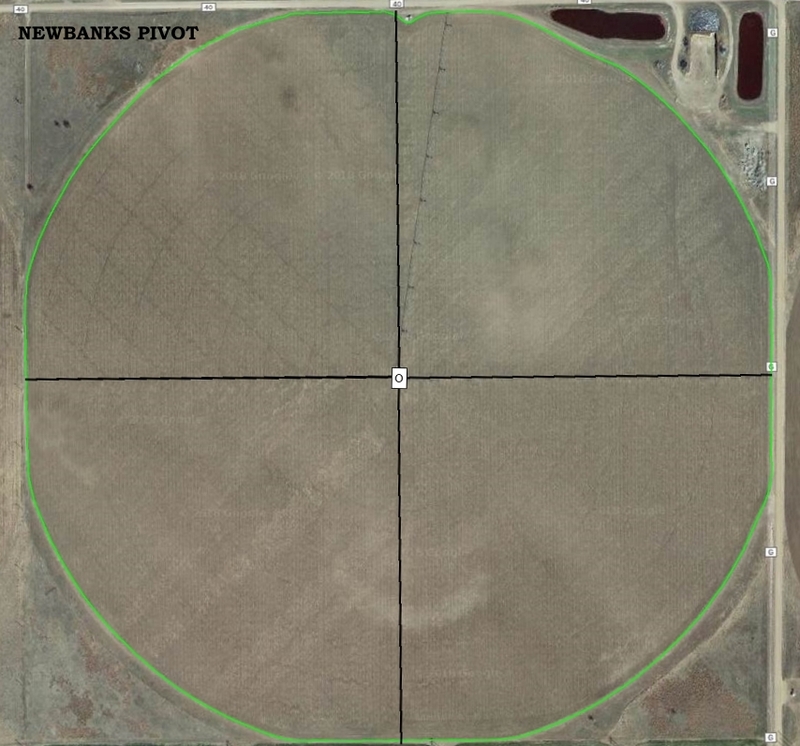 Over the past few years the IRF has upgraded technology our systems to include VRI or Variable Rate Irrigation on PIVOTS C, NEWBANKS PIVOT, and our LATERAL system. 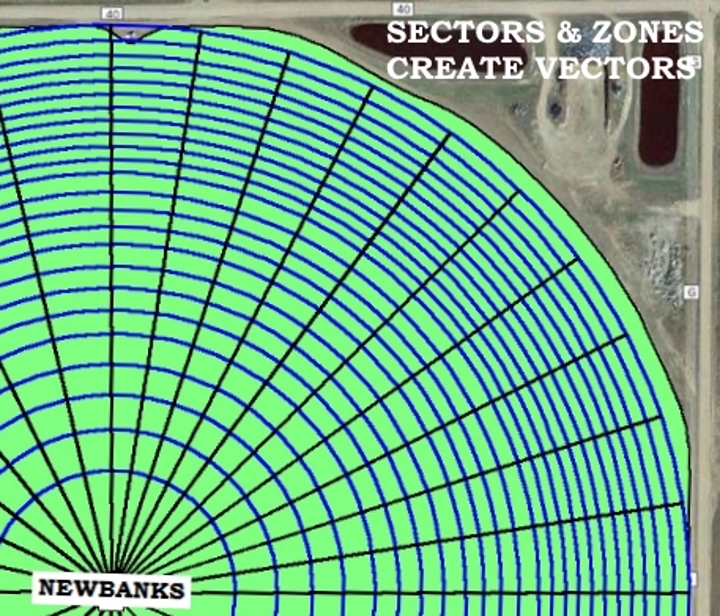 Projects may be irrigated by sectors that will vary in size by the degree angle or footage. With the sectors plus the zones we can apply water or products through the systems in very specific areas we refer to as vectors. 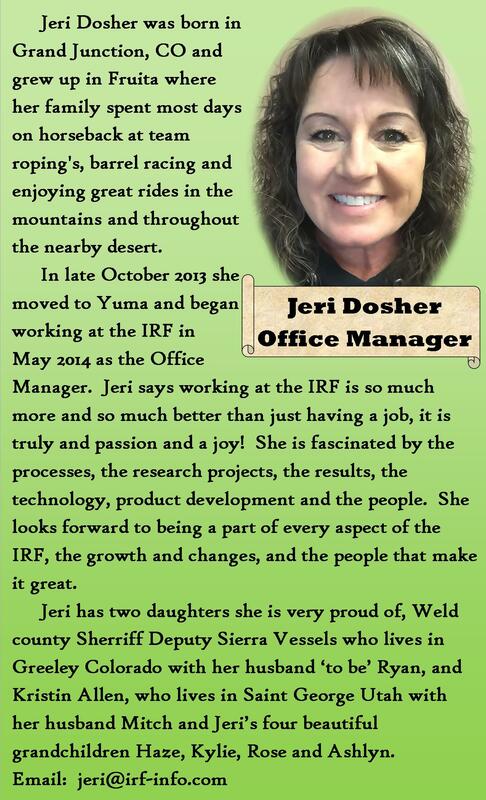 Below are images from the Reinke prescription program we utilize here at the IRF. Since 2016 the IRF has been utilizing TerrAvion imagey. 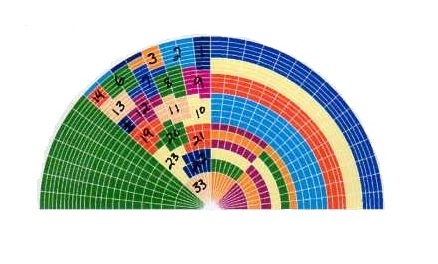 Another really great tool for any grower. We received 17 images over the growing season with our first image in 2018 taken on 5/24 and the final image on 10/13. 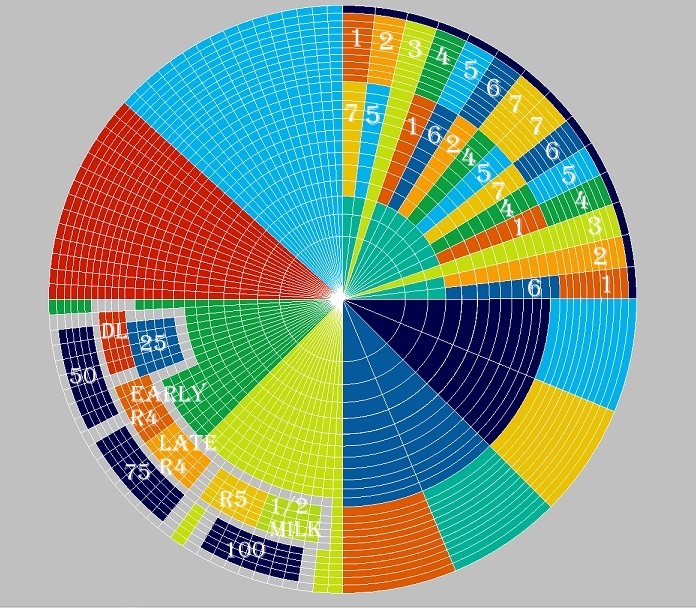 That is an average of one image every 8 1/2 days. Images come in natural color, NDVI, thermal and infared. Learn more by clicking on the image or the logo below.